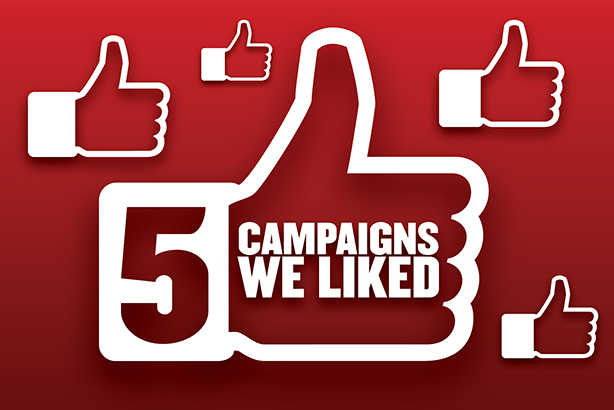 From pilots and parodies to beauty and Brexit, PRWeek has painstakingly picked its five top March campaigns. Vote below for your favourite. After 16-year-old Ellie Carter became the country's youngest licensed pilot in January, budget airline easyJet decided to offer her a mentorship by line training Captain Zoe Ebrey, as part of its ongoing efforts to attract more women into the profession. The campaign, by Taylor Herring, is part of the carrier's commitment to ensure 20 per cent of all its new trainee pilots are women by 2020, and achieved reams of national news coverage. Another gem from the fast food brand, this campaign from Mother alludes to the multitude of KFC imitators with similar-sounding names. A film features Colonel Sanders cruising through the streets of the UK, past people eating in chicken shops with names from AFC to ZFC, saying they are unable to compete with the taste of KFC’s "original recipe". The film is supported by out-of-home, press, social and digital executions that feature images of the chicken shop pretenders from A to Z, with the line: "Guys, we’re flattered." 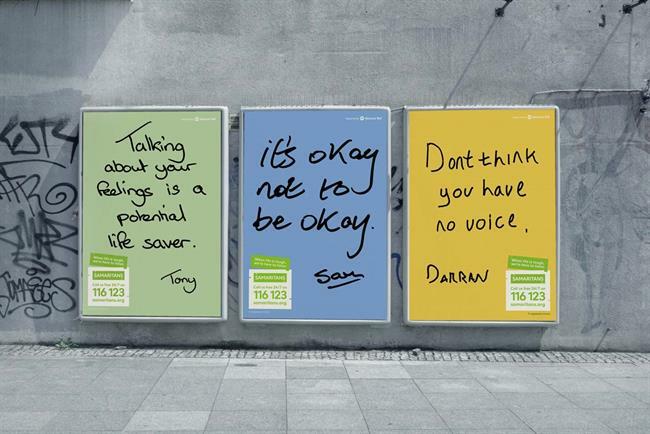 This powerful work for the Samaritans features messages from real men who have experienced depression and suicide attempts, using their own handwriting. The work, "Real people, real stories", was developed by Mother with Goodstuff Communications and supported by National Rail. It encourages men who need help to contact the charity for free on 116 123 or at Samaritans.org. It follows a nationwide survey by Samaritans of men aged 20-59 in England, Scotland and Wales that found 41 per cent do not seek support when they need it because they prefer to solve their problems themselves. This zeitgeist campaign humourously tapped into the backlash against the notorious influencer marketing strategy behind Fyre Festival to make a serious political point. Our Future, Our Choice - a youth organisation campaigning for a new public vote on Brexit - has compared the process of leaving the EU to the illusive festival in its latest social campaign. The one-minute film, made in association with the People's Vote campaign, is a tongue-in-cheek spot inspired by the Fyre Festival trailer. It depicts Brexit as an "immersive leaving experience built on the boundaries of the impossible" complete with Morris dancing, hospital staff breaking into the dance from Gangnam Style and plenty of alcohol.